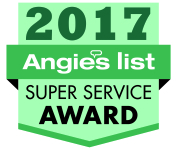 THANK YOU to all of our loyal customers for helping to win this award - Thank you! Maurissa G. - Jason did an excellent job. He was always on time and did neat, professional work. I wouldn't hesitate to recommend him to anyone for any painting job large or small. Don G. (Local Hospital) - Jason is a good worker, very fast, but high quality, dependable, and not high-priced. He does all our painting here. Frank P. - Jason will do high quality work for you. He is also honest and friendly. A regular person, you will not have to deal with a mental case. Anna C. - This summer JGPainting painted the entire interior of my house. The job was beautifully done--prep work was thorough and the cutting along baseboard and ceiling very precise. I had moved lots of personal items, taken off pictures and artwork, and cleaned out shelves and cupboards so that Jason and his crew could move along quickly. They needed to adjust heavy pieces, and they were very careful with both the furniture and the floors. This is the second job that they did for us and we were very pleased. Our house looks wonderful. We will most certainly have them come do some exterior work next summer. Sherri H. - Jason finished prep work I had started, painted my living room, foyer and hall plus ceilings with good cleanup after the job. In particular, he helped with the choice of colors and recommendation of paint which wasn't as smelly and has held up really well. Work was focused and finished quickly while still a professional job. Alex - Are you looking to hire a painter? I cannot bring forward enough praise for Jason and his crew.! He was extremely responsive, offered to assist me with color selections, was on-time, professional and his end result was nothing less than perfection! Chris W. - Jason was professional, timely in all work, his proposal was exactly as he promised with no extra or hidden fees, and most important he did an excellent job on an 1890's home that looked horrible. I would and will use him again anytime I need painting. Philip D. - Excellent job! Jason was a great communicator. They painted the exterior of our house. They did the job efficiently and neatly. Would use them again! S. Sax - We've hired Jason several times and will continue to do so. Jason was always prompt, helpful and very professional in his services. Mike L. - I hired JG Painting to paint the entire exterior of my home and shed, including shutters, trim, and doors. Jason gave me a quote in the Fall, which I accepted, and he said he would contact me in the Spring. He contacted me when he said he would, we arranged a time, and he showed up when he said he would, and finished the work per his specification in the quote. He finished it very quickly, and did an outstanding job. He kept the jobsite very clean. He did a final walk through with me, to make sure I was completely satisfied. I would hire JGPainting again no question. John C. - Rating is heavily influenced by Jason's integrity and professionalism in working through a very difficult situation. Jason used a product on our cedar deck that did not perform according to the product's specifications. As a result, after the job was "completed", the stain did not cure and the deck surface was still tacky after several weeks of drying. Jason and his crew then spent several very arduous days sanding the entire surface and reapplying a different stain. The final results were outstanding. I have no doubts Jason lost money on the project. I also have no doubt that he was committed to getting a quality result he and his customer could be proud of. Matt H. - Jason did an amazing job painting our kitchen cabinets and walls. He was laid back and easy to work with, but the quality of the work was top notch. We'll be using him to paint some other rooms and hard to reach areas soon. Highest recommendation. L. Bly - Jason and his crew did the exterior of our house, our shed, the shutters, deck, the entire first floor of our house and painted the kitchen cabinets. We had an excellent experience with JGPainting each time we used them. They were turning our first floor from deep dark colors in cottage whites as well as taking cabinets that hadn't been touched in 20 years and painting them - in record speed. They were professional, clean, friendly, and did an excellent job inside and outside the house. They delivered what they promised. We highly recommend JGPainting! Here at JGPainting we appreciate your feedback as it helps us improve your experience with us. If you would like to share a review or experience please email us and we will gladly post it - good or bad! Be sure to check out the links below to read and write reviews on other JGPainting profiles across the web!